The provision crane on board the vessel, the Sekigahara crane, model number EEO – A type, was originally designed to be a 3 Ton crane, for carrying cargo. The crane had a boom which was 4.5 meters long. 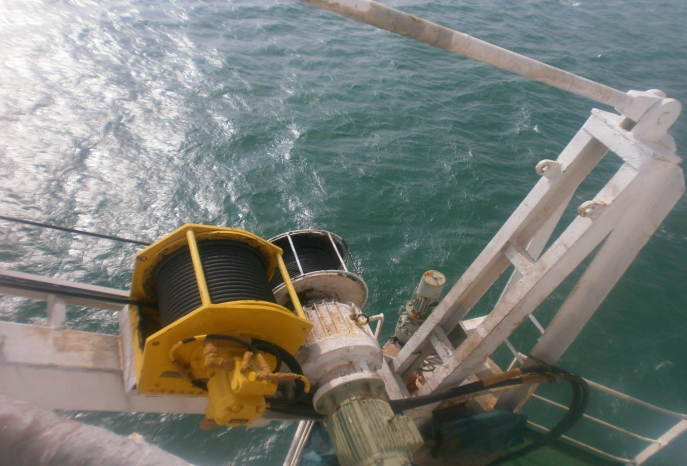 Our client hired the vessel for offshore support work in Terengganu. As part of the requirements, they needed a man riding crane on board for personnel transfer. 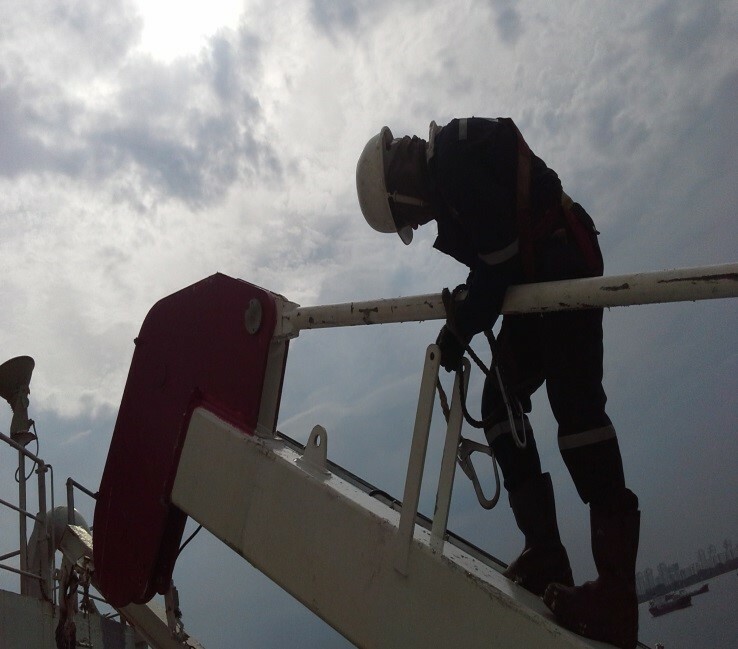 Rabutec was contracted to retrofit the crane such that man riding capabilities can be achieved. To engineer and install a man riding winch (a Braden winch) capable of man riding capacity of 1.25 MT. To engineer, fabricate and install a new boom – 8 meters long boom so that offshore support vessels can be assessed through this crane. During the course of the works, it is also discovered that the base of the gantry of the crane was severely corroded. Rabutec went on, at the request of the client to repair the gantry, such that the gantry will be fit for man lifting purposes. 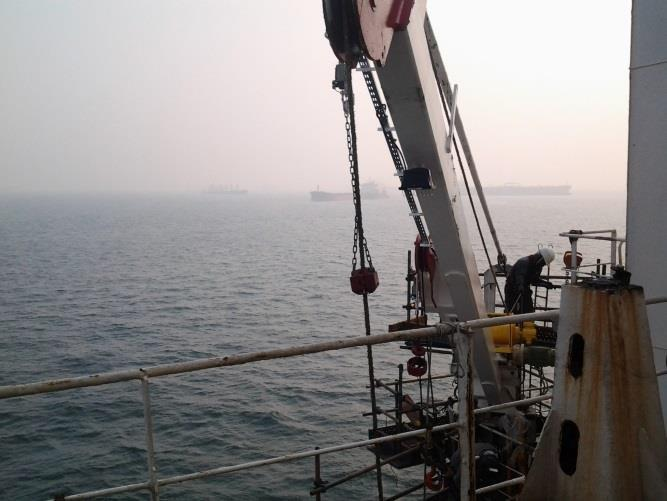 The works on the crane was carried out in accordance to API RP 2D and ABS guidelines for lifting equipment. The works was completed within 2 months. The crane was successfully load tested in the presence of Llyod’s Register.